OUR BIGGEST OBSTACLE COURSE YET! 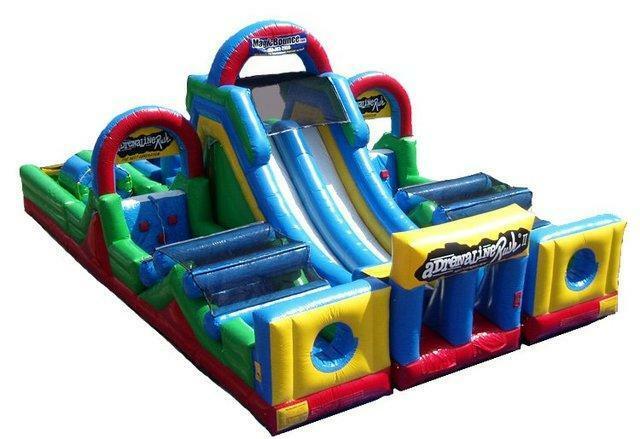 Take you and your opponet on a crazy adventure where you start by crawling through side inflatable pipes, crawl over the wall and slide into the next passage. After that you face the massive wall that leads you to an 20' slide in the middle. Who ever can exit the unit first wins!